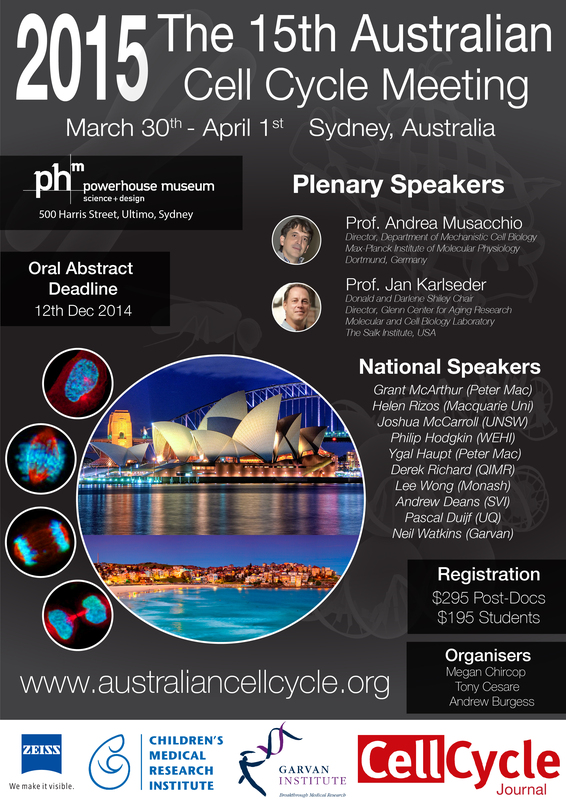 We are very excited to announce that Zeiss Microscopy will be a leading Sponsor of the 15th Australian Cell Cycle Meeting (#ACCM15). Carl Zeiss as a leading provider of microscopy products for life sciences and materials research. To help celebrate this fantastic partnership, we are relaunching the Flyer for ACCM15. Please feel free to download and share the flyer with your colleagues, and on social media.